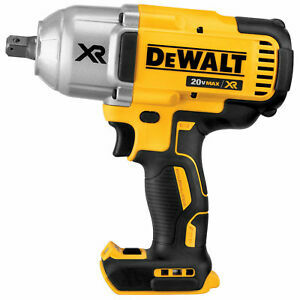 The DeWalt 20-volt Max XR Brushless Impact Wrench delivers up to 700 foot-pounds of maximum torque and 1,200 foot-pounds of maximum breakaway torque. 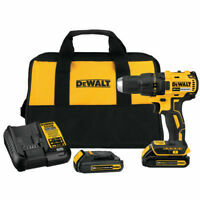 This compact, cordless tool weighs only 5.8 pounds and is less than nine inches in length. Its multi-speed control reaches up to 1,900 RPMs of speed for a wide array of applications. An LED light with a 20-second delay improves visibility in dark working conditions. The impact wrench comes with a half-inch anvil and detent pin. Save 50% on shipping for each additional eligible item you buy from toolup. Great seller! Very nice item. I received quickly & in excellent condition. 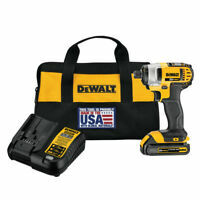 DeWalt Quality and Convenience in a Cordless and Powerful Impact Gun that has 3 Speed Range and Variable Speed Control. 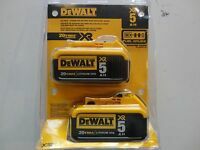 Perfect to compliment the entire 20V System Power Pack Batteries which work across a range of my DeWalt Tools. It's very powerful with three speeds (three torques) in both directions. I set the direction wrong and destroyed one GT lug nut. It's a great cordless tool. Holy cow is this thing powerful! So far I've used it for lug nuts on my Chevy Silverado 1500 as well as my son's Mercedes E320 lugs and caliper bolts. Not even a hint of working hard for this impact. Easily as powerful as my air impact but without having to listen to my air compressor roar or tripping over the air hose. I like the 3 speed/torque settings - I use the "1" setting to run in the lug nuts then just finish off with a torque wrench to spec. The only minor negative and I'm really having to dig deep to find a fault, is that it is a little heavier than my air impact. If you were to be using it all day, I could see there being a fatigue issue. Not an issue for my home mechanic use at all. This is my new favorite tool. Bought this specifically to change tires with rusted lugs and studs. 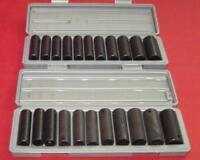 Air drill is cumbersome and cannot travel with me. I work on an large property and I need freedom of cordless. This finally offers that. Easily breaks free lugs torqued to 150 ft lb range. My one doubt and I'm certain of. Is there is no way this thing will torque to 700ft lbs. I haven't seen how dewalt proved this to be true. I would say at best it would be in the low 200 ft lb range which covers almost anything the average mechanic has to mess with. Either way highly recommend. Love it.